You may (or may not) have noticed the slight gap in posts on this blog and that has been due to life getting busy around here all of a sudden and something just having to give, even if just for a little bit. But we have finally got to that point where I am missing my outlet and things have eased up enough for me to consider blogging here again. One of the predominant things that I have been thinking about since being in the position to blog again is why I blog. 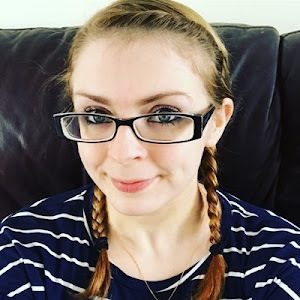 In the past I have blogging for a number of different reasons - for an outlet since I have been staying at home with Bo, to offer advice and support to other people in a similar situation to me and, yes, perhaps to raise a little bit of money. I think it is very easy, when blogging, to put pressure on yourself to blog what other people want to hear about and on a regular basis in order to keep other people interested in reading and push the blog further, especially if you are looking to make an income through it. However, I think over the past few months - and perhaps even still - that pressure to produce regular interesting content has become too much and has also contributed to the need to step away from the computer and just live my life for a while. So now that I am back at my laptop, ready to share with you again, I think it is time to re-evaluate why I blog and the best way to go about that is by looking at what keeps me coming back and what drives me to keep blogging. It's because I enjoy producing the content and, most importantly of all, it provides me with an outlet and a connection to lots of other mums. As I mentioned in my previous post I am a slightly nervous mum and that can quite often result in me feeling isolated and lonely, and can also feel a lot like all I do, when not spending time looking after Bo, is housework. So by reaching out here, it gives me somewhere to share what we are doing, as well as the opportunity to make friends who are in a similar position to me and to also have something else to do other than housework. In keeping with blogging as an outlet and a hobby, and to avoid putting too much pressure on myself, I have also come to the conclusion that my blogging schedule will go out of the window. I am going to blog what I like, when I like/when I have the inspiration or topic to talk about. After all, what is the point of taking the joy out of blogging by adding pressure when all I want to do it for is for enjoyment? Perhaps the blogging schedule is something that I can revisit later on, but we will have to see what life brings. 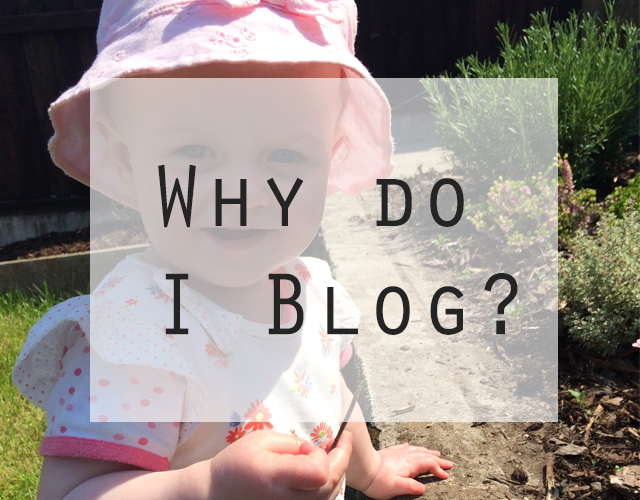 So, tell me, why do you blog? Do you have a schedule for posting and how do you cope with any pressure that this may put on you? Hello! Came across your blog via #PoCoLo this week and saw this older post which grabbed my attention. I totally totally feel the same way about blogging. I love blogging - it's a great way for me to connect with others, it's fun to write, sometimes it helps me and sometimes I hope my posts help others. That said - life is busy so I've had to accept blogging as and when I can. That might mean I don't post frequent enough to be a big blogger who earns a living from it, but after a little soul searching a while back about whether I should stop and it was my HB who said 'but you enjoy it'. He's totally right. Great post! I'm glad I'm not the only one who has had this dilemma! And perhaps further down the line we will both have more time to blog and put together a schedule - just because we don't have one now doesn't mean we never will!